A shadowban means that your posts will only be shown to your followers. This means they won’t show up under suggestions or when people are searching for a hashtag you’ve used in your posts. This will make it very difficult for you to reach new audiences and grow your account. Instagram has not confirmed anything about why this happens or even if it exists at all, but many users have already been affected. And they have made their own attempts to try to get rid of it. Do you want to know if your account has been affected? If so, keep reading! How to know if you’ve been Shadowbanned? There’s no sign in your profile, but you’ll know it’s happened because the engagement and reach of your publications will become drastically reduced. And if you look more closely, you’ll see that the engagement comes only from your followers. The trick to really checking to find out if you’ve been affected by a shadowban is to post something with a hashtag and then ask a friend (who does not follow you) to look for that hashtag. If your content doesn’t appear among the most recent posts, then I’m afraid you’ve been shadowbanned. Basically, a shadowban happens because Instagram understands that you’ve used your platform in a way that is fraudulent or toxic. What does that mean? It means you’ve infringed on the Instagram Terms of Service by using third-parties to automatically like, comment or otherwise use some type of automated bot. To avoid having Instagram detect your account as a spammer, try not to go over 150-200 likes, 60 comments and 60 follows / unfollows per hour. Another possibility is that users are reporting your account. As a preventive measure until Instagram can check whether your content is OK, they will stop showing it at all. In some cases, it has even happened because you’ve used the same hashtag in your publications too many times. How can you remove the Shadowban? For starters, stop using bots, buying followers or making unusual Instagram hacks. Take a rest from Instagram for a couple of days. No publications, comments or even logins. Check to see which third-party applications you’ve given permission to. You can see these by going into your account from the Internet version. They will be shown in your settings when you click on the “gear”. Publish from your mobile. Don’t use external platforms. Interact with your community in an honest and organic way. Don’t use “Nice” or some emoji, like the bots do. Some users have also said that changing from a company account to a personal profile also works. If nothing works and you haven’t done anything wrong, you can always “Report a problem” from your options panel and contact Instagram to explain your situation. You don’t need to have been shadowbanned to have some of your publications not reach new audiences. It’s possible that you’re using a banned hashtag. 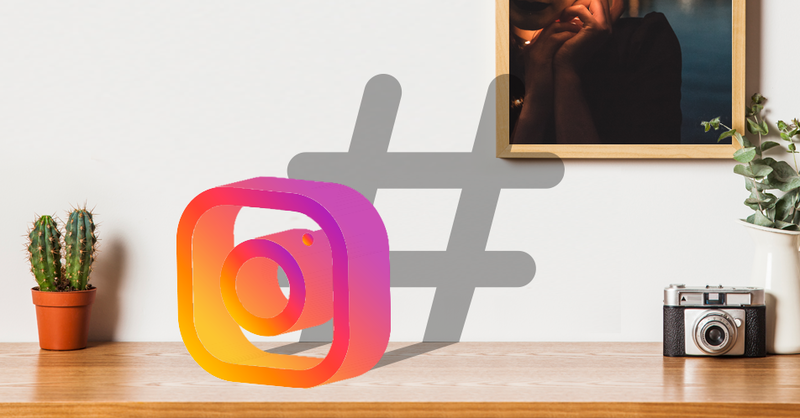 When a hashtag is prone to inappropriate content, Instagram will limit its appearances in the community. If you search for it, only the most prominent publications will appear, and not the most recent ones. The biggest problem is that if you use a banned hashtag, your post will not be shown for any of its other hashtags. For example, if in a photo you use #breakfast, #cereals and #pornfood, your post will not be shown in any of the hashtags because #pornfood is banned. So be careful! There are some hashtags that have been banned permanently, and others temporarily… so this list can change. Currently, there are more than 100,000 banned hashtags. Since we can’t include all of them here, we are going to list the most common ones that are included in the Preview app. We recommend that you investigate the ones you use the most often, lest you be limiting your reach unnecessarily.